What is it & where is it available? KOCOWA is the new streaming platform coming directly from the big 3 Korean broadcasters: KBS, SBS, and MBC. It is currently available in parts of North and South America. There are a variety of plans available. The standard ones include a monthly plan for $5.99 and a yearly discounted plan for $69.99. The fact that KOCOWA comes directly from the big 3 broadcasters means there is a high likelihood that this will effect the content available on the other big streaming sites like DramaFever and Viki. Many of us had already noticed fewer dramas being licensed on these sites, but this last round there was a very noticeable decrease in offerings with KOCOWA appearing to have exclusive rights to several dramas. It remains to be seen just how many dramas will continue to be licensed to platforms like DramaFever and Viki from the big 3 networks. But if you still want to watch cable dramas from tvN, JTBC, and OCN, DramaFever and Viki should still have decent access to these dramas. With the recent decreases in Korean drama availability, there has also been an uptick in offerings of Chinese and Taiwanese dramas. This trend will likely continue as they will need to fill in the gaps left by the big 3 networks. So how do I feel about this change? Well, I don’t love it. In recent years, drama availability had already become pretty well split between DramaFever and Viki to the point where you really needed to have both. Adding a third streaming service will continue to divide the offerings, and it certainly looks like having all three will be a necessity for an avid kdrama fan (like me!). Only time will tell just how much this new service will effect drama availability on DramaFever and Viki in the Americas. We will all just have to hope for the best! UPDATE 8/14/17: Viki has now launched a new subscription option called Viki Pass Plus that includes access to KOCOWA content. More details can be found here. This entry was posted in News and tagged kdrama, KOCOWA, Korean Drama. Bookmark the permalink. I’m totally with you on this one. I feel ripped off. Viki has lost a ton of Korean content. All those subs in languages other than English–gone! **ugly crying** I already have subscriptions to Viki, DF and ODK (because they will occasionally sub a daily drama!) but darn…Now I have to pony up for a fourth? Yeah, I know it’s less than cable TV (which I cut long ago) but I didn’t sign up for this when I renewed my subscriptions a few months ago. Kocowa says that subscribers will get “surprise” gifts…ehhh, I’m not one for surprises. I wanna know what I am getting–period! What about the ability to use Chromecast? Or a Roku channel? No word yet. I prefer the Viki subs because the subbers will often explain the idioms (never happens on DF) and some of the written material and/or BG signs. I liked Viki’s new double subs too. I doubt Kocowa will have those, although I did write to them and request it. I know! I’ve been watching the Korean content dwindling on both sites for months now. And then this cycle it looks like only one of the big 3 dramas was licensed by Viki and one by DramaFever. I understand the feeling though. I have DramaFever and Viki plus Netflix and Hulu. Even though they are not super expensive, they do all start adding up. I’ll probably drop Hulu since they have gotten rid of so much of their Korean content and I don’t watch much else on there. Then I’ll pick up KOCOWA. I too wonder what the “surprise” gift is. I’ll be waiting a couple months to sign up for the paid service anyways, so maybe by then some others can let us know, hehe. It does look like they are going to work on some TV apps, but I know Roku is frequently low on the list for a lot of companies. I would guess they will eventually get to it though. Hopefully soon since I prefer to watch dramas on my TV and I frequently use the Roku. I jumped at the chance to sign up for ODK (not paying enough attention to the fact that you stated they occasionally sub a daily drama) LOL Anyway how do you tell if they have subbed a drama other than to start watching it? Thanks for any response. There should be a little orange box under the picture of the drama and the title that has “EN” in it. ODK is not subbing nearly as many dramas in English as they used to, and their Mandarin Chinese subbing is completely gone (the lady who cuts my hair is Vietnamese but is more comfortable reading Mandarin subs, so she’s ticked off!) I might drop ODK which is a shame because their subs were often worded creatively and had a sprinkling of American slang thrown in. However they have other programs like documentaries they sub that no one else does. Sigh. What to do….. I contacted KOCOWA and they’re adding ROKU next year. But I’m very upset they have exclusive rights. Question though, I’ve noticed DF couldn’t get licensing in the U.S. for a tvN show (Live Up To Your Name) which is the only show I was really looking forward to. Does KOCOWA get licensing for other networks as well? I don’t want to pay more for one show. I just saw too that DF didn’t end up getting Live Up to Your Name. KOCOWA is supposed to just be a collaboration of KBS, SBS, and MBC, so it doesn’t seem like they would be adding content from the other networks at this point. Although I suppose at some the other networks could potentially join in. I wonder what actually happened with Live Up to Your Name and DF though. DF also didn’t get Criminal Minds which is tvN, so it’s not available on any of the big streaming sites. It would seem like it would be very important for DF to carry the tvN dramas so that it will have something to compete with. I really wish there was a good/honest streaming site that has ALL Asian dramas. Thailand, Taiwan, Philippines, Korea, China…ect. Although I love Dramafever and Viki, they are only going for Korea and Chinese/Taiwan dramas. Also, that gets boring! Hulu was great since it had a variety, but now Netflix is picking up the slack, but even they don’t have much variety for Asian dramas. Viki started a suvey pop up recently asking what other asian dramas would people be interested in. I am sure they are looking for way to survive the shift. Netflix just paid for the rights to 600 hours of JTCB present and future content. Netflix recently paid a massive bundle for exclusive rights for 600 hours of Dramas and Variety shows from JTBC, they also plan start making more of their own dramas….Which is why you can’t find Man to Man on Viki or DF….I’m annoyed…how many subscriptions do I need to pay for to get the programs I want to watch??? Plus KOCOWA isn’t smart tv ready yet… It is more expensive than VIKI and DF… New companies can only do that when they know they are able to control the market. Ah, that makes since. I had noticed in the last couple months that Netflix had been adding more JTBC dramas plus they are getting a bunch of web dramas. And they are set to have some Netflix original dramas coming up in the next year, so of course those won’t be available anywhere else. Yes, it’s frustrating needing so many subscriptions! It looks like the dramas keep getting spread thinner and thinner as they divide up between the platforms. But yeah, people will be willing to pay for KOCOWA if that is the only place carrying those dramas. It does seem like a lot of streaming platforms aren’t smart tv ready upon launch, but they will be eventually. I just hope it’s on the sooner side that they start adding the tv platforms since that’s how I prefer to watch. Yes, but most of the dramas /movies Netflix is adding are really bad. Not all, but most. And I’m not happy DF and Viki are mostly adding Chinese dramas, sorry, I’ve tried to watch some but don’t like any I’ve seen. They seem very amateurish. Maybe I missed something but checking the site I don’t see any dramas that aren’t on DF and Viki? I am sure i’ll pay for this too though. Do you know any of the paying sites are available say in Australia? I have been searching and seems there aren’t any. They are all for America region it seems. I live in Australia and DramaFever is available to me, it’s been available for several years. The only problem is that there aren’t many shows licensed to our region, with only a small percentage of them being Korean, and of those only a few are newer dramas. Those of us who follow the kdrama sub on Reddit have known about this coming. The South Korean TV stations are scrambling to fill the enormous loss in the market after the Chinese government banned Korean cultural content. The result: a new streaming site in North America and an increase in Korean content on Netflix. I’m going to bite the bullet and subscribe to Kocowa, but I worry about the future of Drama Fever and Viki, two sites who have served us so well for so long. I too really worry about DramaFever and Viki. I really hope they can find a way to continue. And I knew it was going to be a problem when the Chinese government banned Korean content. It was just such a big and high paying market to lose. So it does make since that they would fill the void by getting more heavily into some of the other big markets. Of course, I will be subscribing to KOCOWA to as it seems like a must have at this point. I’m very curious/worried to see how the streaming platforms will change over the next year or so. I’m wondering what will happen to DF anyway, since it’s owned by Warner Bros who has just sold to ATT, pending agreement from the FCC. If that happens it very well could mean that ATT makes DF available only thru their service, Direct TV. That’s too bad about the issues watching on your laptop. Maybe they still need to work out some issues. I’m glad they have plans to add it to the Roku too as that’s where I prefer watch. Appreciate the article. This is all about money and who (and which country) profits from kdramas. I have subscription services to DramaFever and Viki. But if they can only air content from the cable networks OCN and TvN then they become less relivant. Netflix has the lock on JTBC. Kocowa has a lock on kdramas from the big three – KBS, MBC and SBS. It is viewers that pay the price and are the ones cut out. It’s not surprising, but it is disappointing. Yep, it’s definitely going to spread things out even more. I’m very curious if the big 3 will continue to license out just a few dramas or maybe wait until after they are done airing or something. DF did get Strongest Deliveryman which is from the big three. But who knows, this is still very early in the game and they may have already had that license secured. i have a quick question i went to the kocowa site, is it because i’m not subscribed or something i can’t tell which dramas as subbed in english because if its just a handful i wont bother getting it, i am subscribed to viki DF and ODK hulu amazon and netflix as well, i have too many anyways. All of their shows should be subbed in English. I know it’s frustrating, I’m subscribed to all of those too (except ODK) and will be adding KOCOWA to the list since they will have some exclusives. We definitely have way too many streaming platforms to juggle! I have a question. I have a Chromebook that I can’t download apps onto. Can I watch KOCOWA without using an app? I think you would need the KOCOWA app to watch. You could contact support at kocowa.com to double check though. But when I looked at the devices it works with, all but a computer indicated the need for the app. Is honestly nobody watching any of the sites that offer all the dramas for free, often faster than Viki or DF?? Um, aren’t those sites not mentionable? Or are there such sites that are legal? I get DF and Viki on Roku so I can watch on my 42″ tv. Many fans prefer to support the legal streaming sites since it is more beneficial for kdramas as whole. And many times if none of the legal streaming sites carry a drama, it is harder to find subs on the other sites since many of them take them from the legal ones. Of course there are fan communities that sub, but they are not near as accessible for most people. AND many of the pirate sites are LOADED with malware. viruses and privacy-invaders! One site almost wiped out my computer a couple years ago. Thank God I was dating an IT tech at the time. “Ever feel like you run out of shows to Viki Binge? We have you covered! Thank you for sharing that! I’m very interested to get more details on this new development so we can get a clearer picture as to the new streaming situation for kdramas. I really hope that viki gets all kocowa content 🙂 Mostly because i don’t want to subscribe to another streaming service! Like other people said here already, I know that streaming services are cheap compared to cable\satellite tv but when you are paying for several services already, it becomes expensive! And i already have subscriptions on so many services(Viki, DramaFever, Crunchryoll, Netflix, Amazon prime and etc). Anyway, I’ll have to wait and see which services will be the best(have more content, best price, features, translation and etc), i’m not going to pay for 3 services, i’m going to choose 1 or 2 between these 3 services. But then the legal sites block even more dramas for me as I live in Europe and I usually get the message the content is “not available in my country”. It’s because of these things, that I moved to the other sites. Also, I feel almost like being taken “hostage” by Viki and DF and then now this 3rd party, fighting the commercial battle between each other but only making things harder and more annoying (read “expensive”) for the fans. Yeah, I definitely understand. It gets so confusing and frustrating with dramas not being available in certain countries. And it seems that the Americas get access to far more dramas when compared with other international countries so it has caused many fans to look elsewhere. Viki Pass Plus is out and i’m not happy with it because it’s to expensive and at least for the time being, not worth it! By the content you are getting, it’s to little! To be honest i’m really disappointed with Viki! Because besides the new Viki Pass Plus(which is to expensive in my opinion) they also increased the price of the standard one without warning us or asking us(at least here i got no warning on the site when i accessed it, no e-mail, nothing) if we accept the new value and want to continue to renew the subscription with the new value or want to cancel the subscription by the end of the current cycle! Netflix did differently here in my country when they were readjusting their prices! They send me an e-mail warning about it with a button to go to Netflix site and accept the new subscription plan, and as soon as i enter the site a big pop up blocking the site appears explaining about the new price and asking me if i accepted the new subscription or if i wanted to cancel by the end of the cycle! 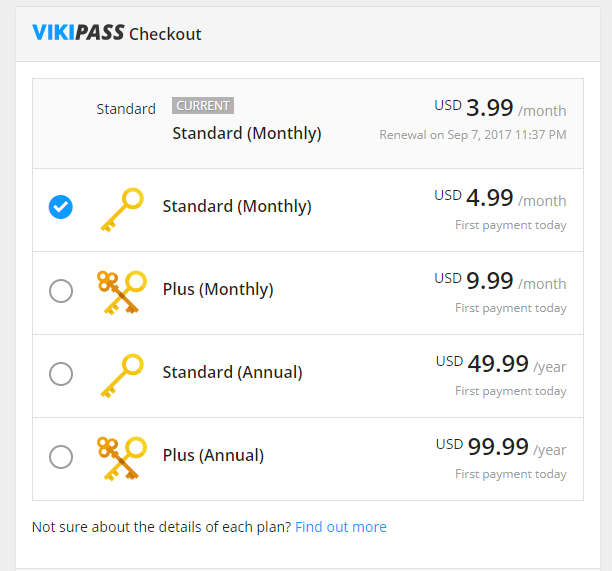 The standard pass went from $3.99 to $4.99 and the new Viki Pass Plus is $9.99 per month to $99,99 per year(Are you kidding me?). I’ll be honest here, I’m pretty sure that this partnership between Viki and Kocowa will only last for the time being while Kocowa still young and setting up it’s territory, while Kocowa is improving their service and system and etc! Because it doesn’t make sense to license your content to other sites(competitors in this case) if you have have your own streaming service\site. For the time being it’s a completely mess too, because before Viki being a partner of Kocowa, it was DF that was announced as a Kocowa partner but then they lost the position and Viki got it! I’m only interested if Viki Plus pass includes all the new dramas you can’t get anywhere else, and ones that I’m interested in, like “Live Up to Your Name/Deserving of Your Name. I don’t see it anywhere. They did list Manhole, but I don’t care if I watch that one. And I didn’t realize they raised prices w/o any notification. Not good business. Thanks for your post. It does look like Viki Pass Plus will have most of the KOCOWA exclusive content. They only had Manhole listed on their new KOCOWA page, but a quick search showed they also had Into the New World and Distorted which weren’t available before. So it looks like they will be getting exclusives. I guess we will just have to stay tuned to see exactly where the cable network dramas eventually end up. DramaFever needs to get with it and grab hold of those if they want to continue. I’m waiting until they actually have new dramas I can’t live without. I’m not interested in Manhole or Distorted, but only want to see Live Up To Your Name. I can’t believe not one streaming site (DF, Viki and even Kocowa) didn’t get licensing. What’s going on? And I thought Kocowa said their subbers are professional and fast, and Distorted showed up but only 1% English, even though I can’t access the episodes. I was surprised too. Of course, DF was suppose to get it, so I wonder what happened there at the end to cause it to fall through. I saw that the some of the new shows on Viki from KOCOWA weren’t subbed. I wonder if it’s because Viki will still have to sub them themselves. Otherwise, maybe it’s just taking time to get the new dramas updated. Live Up to Your Name/Deserving of Your Name is a tvN drama and the Viki Pass Plus is for Kocowa content(KBS, SBS, and MBC). I’m really sad to say this and i don’t support this but this drama(Live Up to Your Name/Deserving of Your Name), i’m watching it through non-legal means since no legal streaming site got the license for it, DF had it but lost it on the last minute :(. Yeah, could be. I thought it was strange for them to license their content to Viki. I guess time will tell how much content they get and how long Viki continues to get it. It’s definitely not a great situation. I don’t think Kocowa is licensing individual shows to Viki, more likely giving Viki the rights to stream their content. And the extra you’re paying for plus most likely goes to Kocowa. So that would mean that Viki subscribes to Kocowa for you (with ALL kocowa content available, no exclusives), and as a Viki subscriber you still also get access to their non-Kocowa content. That is what makes the most sense business wise. Both sides win. Kocowa gets it’s subscription fees and Viki gets to keep its subscribers and survive. With the creation of Kocowa this is a smart move for Viki to partner with them and not lose content. I’m a little worried about DF though. They need to come up with something and do it fast. Maybe try to strike a deal with the remaining cable channels. But cut the Big 3 (MBC,KBS, SBS) some slack though, this is probably one of their strategies to overcome that cash flow problem they’ve been dealing with for the past few months (thanks to China trying to be a bully whenever the opportunity presents itself). China was their biggest market, and their underhanded boycott (that’s what I see it as) has seriously affected Korea’s entertainment industry. If you’re an avid Kdrama fan like myself, I’m sure you’ve noticed the dwindling in shows this year due to the lack of investments. For the first half of the year the ministry of culture has been helping by investing in some of the shows, but of course they can’t keep doing that forever. So the industry is trying to branch out into new markets and not rely so heavily on China. I love my kdramas, so if my subscription money can help bring more of he good quality shows we’ve all come to expect from Korea, I’ll gladly pay it, probably through Viki since it saves me the hassle of having to deal with streaming another account, I now have DF and Netflix, and will wait for Kocowa to get enough new completed shows to get Viki back (I like to binge watch, so might as well save a couple of months worth of subscription fees) I ditched Hulu when it itself started to ditch most of it’s Asian drama content, so that money will go for Viki Pass Plus I guess. The only thing that gives me pause about Kocowa is the Subtitles. I don’t know about the other 2 broadcasters or other languages, but I’m not a big fan of MBC’s english subs. I wish they’d let Viki do them. I think someone else commented about that earlier and I also agree that out of all the streaming sites Viki does a better job of preserving the integrity of the original dialogue of any given show, while giving explanations for idioms or if a certain sentence sounds off due to language or cultural differences. China is full of BS because communism is full of BS. I also love kdramas the problem here is that the legal services for some time now, are failing to get licenses for kdramas but cdramas, tdramas in the other hand! The problem with cdramas and tdramas is that the quality is not even close to the kdramas in my opinion, also i don't like the languages to much, is sounds like gibberish\cluttered most of the time, since you can't easily make out each letters\syllables sound! To me the most clear Asian language(that you can easily make out the letters, syllables and etc) is Japanese then Korean(it's a bit cluttered but is ok after you get used to it), now Taiwanese and Chinese? No, i only watch Chinese and Taiwanese dramas if i really like the synopsis and the first episode. Heh. I missed all of this completely until today. I noticed that some of my Kdrama shows were suddenly listed as restricted on my Viki watchlist but it wasn’t a big deal since I also had them in my DramaFever watchlist. Then suddenly today I saw new shows on Viki that required me to upgrade my subscription and it led me to the Kocowa discovery. I can’t say I like this though because like many of you I already subscribe to Netflix, Hulu, DramaFever and Viki and still pay for cable :(. I’m doubly glad now I got rid of Crunchyroll. The costs of these add up to no small dollars. Now Kocowa. I don’t know yet if it is worth it so I will just have to wait and see how this all plays out. I did also hear about the Chinese ban but for some reason I thought the Korean tv industry would just partner with DramaFever or Viki and avoid the hassle of subbing in so many different languages but instead they went straight to the market and I didn’t anticipate that yet. I can say that I’ve bought Korean drama before on DVD and the subs were so atrocious that I always stick with DramaFever and Viki to avoid wasting money on poor subs. Now it’s no wonder indeed that I see DramaFever adding so many Chinese drama and barely new Kdrama. I watch both so I don’t mind though Kdrama stories and productions are mostly superior to Cdrama. I hope DramaFever will survive this setback. Viki seems to be doing the subbing for the Kocowa shows because the translation teams do comment in the comments section of the show’s page. After reading some more on Viki it seems that Kocowa will have their own professional translators. This is my theory: DF is owned by Time Warner. They are in the process (waiting for FCC approval) of being bought by ATT (boo, I hate ATT). Since ATT owns Direct TV I’m waiting for news that DF dramas will only be shown thru Direct. Won’t be surprised at all. This might be another reason DF isn’t bothering to add many new Kdramas. The only reason I’m sticking with DF right now is because Suspect/Secret Forest was the best drama this year and I would have missed it if not for DF. I have all the channels you do except I did away with cable. I’m not adding Kocowa until they completely get their act together and there aren’t any shows right now I need to watch on Kocowa anyway. I don’t understand why we can’t boycott Chinese dramas since China is boycotting Kdramas. 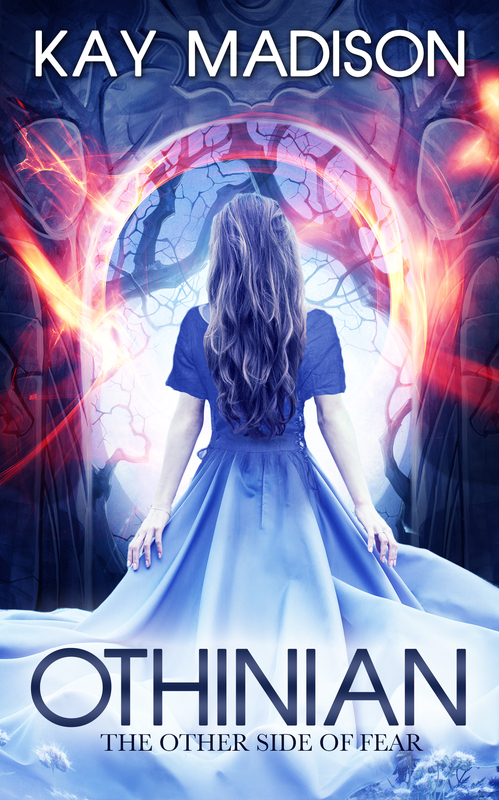 I loved Forest of Secret too. It was great from beginning to end. Only time will tell the future of DramaFever, I guess. If they do indeed go down the exclusive path, I guess we will just have to adapt. I would miss some of the Chinese exclusive shows though that are only on DramaFever like Ten Miles Peach Blossoms. All of these services do starting adding up fast! It is cheaper to just get the Viki Pass Plus rather than Viki and Kocowa though. Still a price increase. So far Viki has said that the Kocowa dramas will come to them raw and the volunteers will sub them as always. So there will be a the usual wait time with Viki verses the 6 hours with Kocowa. I too hope DramaFever finds a way to survive. They really need to corner the cable drama market. Lots of changes though! Oh, good to know about the subs. That’s a good question. For instance, DramaFever still has all of the old episodes of Running Man, but they aren’t getting any new ones. But I don’t know how long they have a license agreement for to keep those old episodes. It’s probably the same with Infinity Challenge. You might email Kocowa support to ask about if they will be getting the old episodes at some point. Oh yes, I love City Hunter too! because of these that i gave up all those stream web sites and etc . now there are a lot. like HBO Fox Disney channel just annouced that they’re creating one….. if this keep happening we’ll have to pay at least 10 or more of those services to watch our favorite shows. sorry, but i can find all shows i like for free on the internet, i just need to be patient for the subtitles. I used to watch on dramafever than went to viki, but now most of the shows are blocked for my country or nedd to have a primeium account, even old dramas. like coffee prince that i watched the whole drama for free but recently i tried to watch and only five episodes a free, the rest only premium member can watch. sorrynotsorry but i prefer the free sites on internet. Yes, it has definitely become frustrating with so many companies offering their own streaming channels now. It’s all really starting to add up. So far I can still get most of what I want from Viki and DF, but their are a few shows they are missing. But it really stinks how many shows are now unavailable on Viki and DF in many countries. People have understandably had to find other options. One big change, the subs are faster, for instance on Kocowa now My Golden Life is subbed shortly after it is up. There are others too. And on Viki they are still not subbed. I pay Kocowa directly even though I still have my Viki acct for ones they may not have. Drama Fever I keep just because really since it was the first I had but most of the dramas on it have already been on Viki. Koreanondemand has very few dramas, and even their ondemand movies translated to English are few and far between. I hope that helps. Yeah, there have definitely been some issues crop up lately with all of these changes concerning the streaming networks. I went ahead and upgraded to Viki Pass Plus since it was cheaper than having standard + Kocowa, and I can watch on my Roku. The biggest negative is having to wait longer for the subs. And DF missed quite a few dramas the previous couple cycles, but I was glad to see that they actually picked up several this go around. I just hope all of this eventually gets more smoothed out. Yessss I agree on Viki . I actually been watching dramas on ccasian.com that I have to pay extra on Viki to watch but I still really like DramaFever the best because they are quick to sub but yesterday when I was watching revolutionary love on my PS4 the drama was buffering so bad . Dramafever is now null and void, defunct, no more and am I ever pissed about it. However, on the bright side this may up Kocowa’s variety even more and with Viki Pass Kocowa will most likely end up having the lions share of entertainment.. I don’t really know what content they carry such as will they also have Chinese, Japanese, Taiwanese, etc content? I love variety. I especially love historical based stuff especially during the feudal period…even if loosely based. Since Dramafever is no more I really need to find a source for East Asian entertainment. I may be a Native American but I LOVE my East Asian stuff.I’m extremely drawn to it for some reason…I always have been. So if you can point me in the right direction that would be totally awesome. I’m located in N. America. Thanks. Yes, DramaFever is now gone, and it’s such a disappointing development in the drama world 😦 I’m hoping Viki will be able to pick up more of the cable dramas now. DF was the one primarily getting those with Viki getting a couple here and there. Maybe they’ll get more now. So far Kocowa has stuck to just offering content from the big 3 networks. So no cable dramas or dramas from China, Japan, etc. Not sure if they will ever expand from that or not. If you’re in North America, the Viki Pass Plus would probably offer you the most variety of content since they have most of Kocowa’s dramas (though not all) plus some cable dramas and shows from other Asian countries. It’s also a bit cheaper to get Viki Pass Plus rather than a Viki Standard + Kocowa. with DF departing, I went to VIKI. so far, not bad. in areas, there seems to be a dire need for reorganizing, it’s a bit confusing at times. have considered KOCOWA, via VIKI pass, so many things are not worth the price in these days. so I am still searching and wondering. for subtitles, VIKI is equal o what DR was, lacking… but I like so many of the Korean Dramas, not the “high school” type, just too silly. Viki definitely has a good selection of dramas. I have the Viki Pass Plus which gets me most of the Kocowa content as well as some cable dramas. I think if you’re in the Americas it’s the best deal for the most content. I’m still hoping someone else can fill in some of the gaps though. There are still quite a few dramas that Viki, Kocowa, and Netflix don’t get.